Amazon announced today at COMPUTEX that it has added Compel, Quanta and Wistron to its Alexa for PC partner roster under a new program for Original Design Manufacturers (ODM). ODM’s design and manufacture devices that are eventually branded and sold by other companies. These are also known as white-label or white-box solutions. Alexa for PC was revealed at CES 2018 with the demonstration and announcement of new laptop and desktop PCs from Acer, ASUS, HP and Lenovo that had Alexa access built-in. Amazon has worked with Intel to drive Alexa distribution into PCs and the video below from CES summarizes how it works. 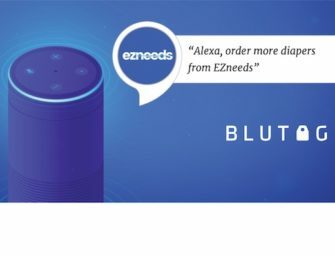 A blog post today by Amazon’s Mariel van Tatenhove explains how PCs are becoming a key vehicle for increasing Alexa access at home and in the office and align well with the company’s “Alexa everywhere” strategy. “Customers use PCs every day for business and entertainment. We believe voice is the next major disruption in the PC category, which is an important part of our ‘Alexa Everywhere’ vision. Amazon started its Alexa strategy with distribution solely through the company’s Echo smart speakers. That soon expanded to third party OEM smart speakers, smart home devices, appliances, and more recently PCs. In some ways, Amazon’s strategy appears to be playing out as “Alexa everywhere except smartphones.” That is not to say Alexa is completely shut out of the smartphone arena. Android phones have Alexa access through Alexa app and iOS users can access Alexa through the Amazon shopping app. In addition, some smartphone OEMs are adding Alexa access. However, Amazon’s lack of deep integration into Android and iOS mobile OS platforms has made Alexa seem less capable on smartphones than the native installations of Google Assistant and Siri. By contrast, Alexa appears right at home with native integration into a wide variety of household devices and now in Windows 10 PCs. Alexa’s only rival on PCs today is Microsoft’s Cortana and the two companies are collaborating by integrating the voice assistants so users can access either. Amazon has proven that it can drive distribution for Alexa even though it didn’t have a big footprint of device OS integrations to build upon. It will be interesting to see if the new ODM program will increase Alexa access as voice becomes a bigger part of the PC user experience.